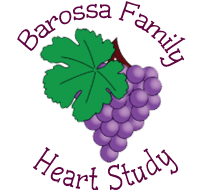 The Barossa Valley Family Heart Study is looking for participants. This study is designed to locate residents in the Barossa Valley of Silesian descent. These individuals may have inherited a FH gene which causes very high cholesterol levels. Familial Hypercholesterolaemia (FH) is an inherited disorder of cholesterol metabolism, resulting in high cholesterol and an increased risk of premature coronary heart disease (CHD). Once located, they are asked a series of questions which may indicate inheritance of the FH gene and if so, then a DNA analysis will determine the presence of the FH gene.